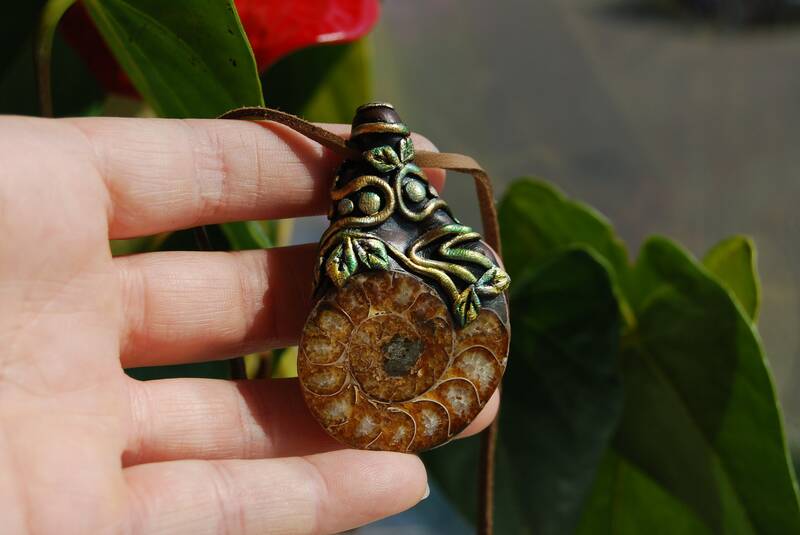 This is a Ammonite Fossil in an handsculpted durable clay setting that I made myself. 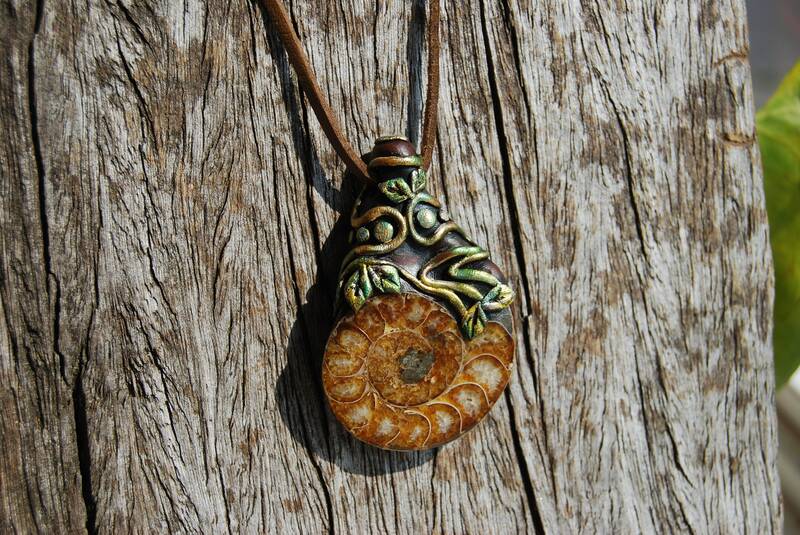 Ammonite is the shell of a prehistoric sea creature forming a slowly expanding spiral with complex surface patterns. 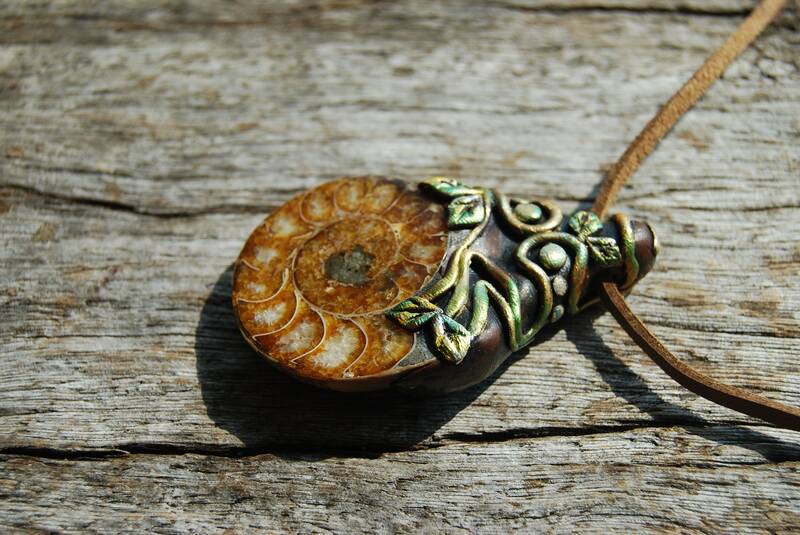 These shells appeared approximately 520 Million Years Ago and are also known as the Fractal & Fibonacci fossil. 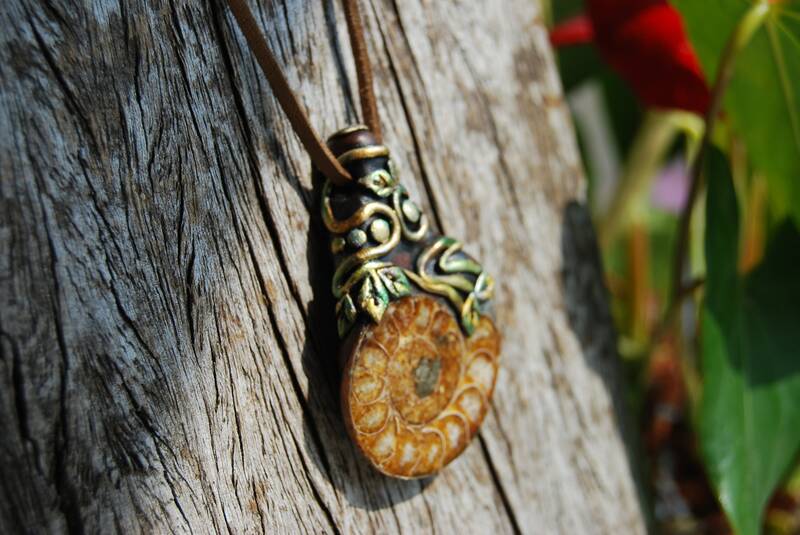 Ammonite strengthens the chakra system and helps us to accept change and cycles of time. It is a protective stone, giving stability and structure to one’s life. It can eliminate the caustic attributes and can transform negativity into a smooth, flowing energy. 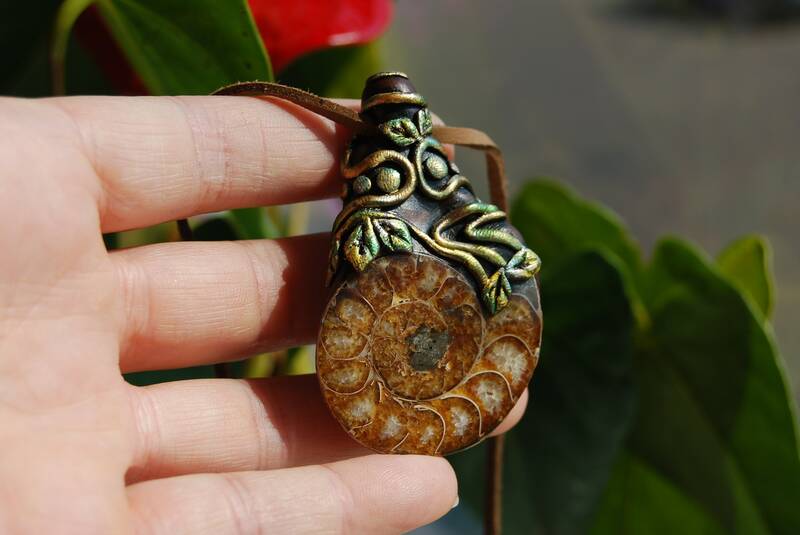 Ammonite combines the organic properties of ancient life with the perfect chemistry of Quartz to act as a link between earth and its energy; anchoring, relaxing, calming, and encouraging reflection and contemplation. 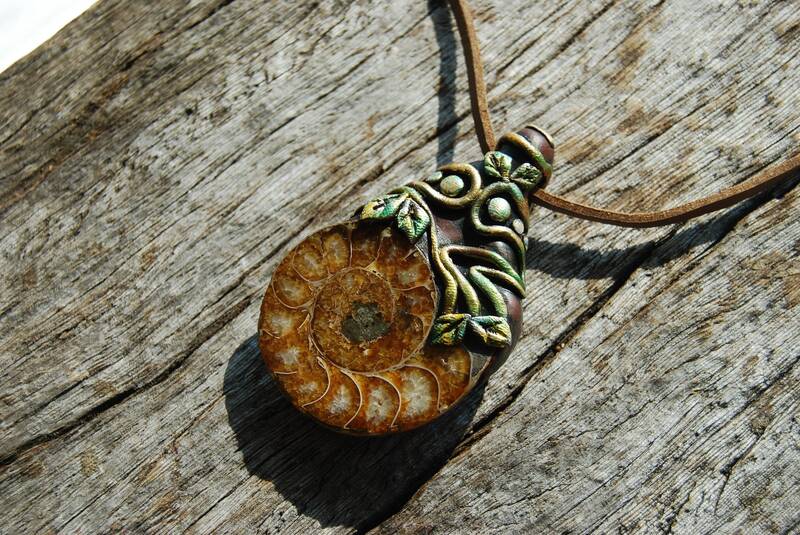 The SPIRAL is associated with the cycles of time, the seasons, the cycle of birth, growth, death, and then rebirth. The cycles of time and nature are the cycles of life. 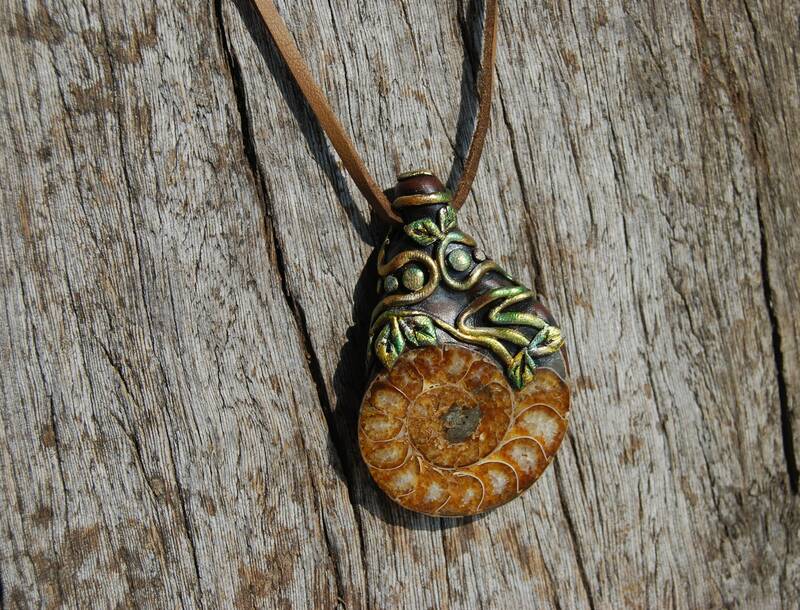 The Spiral is also a symbol of the spiritual journey. 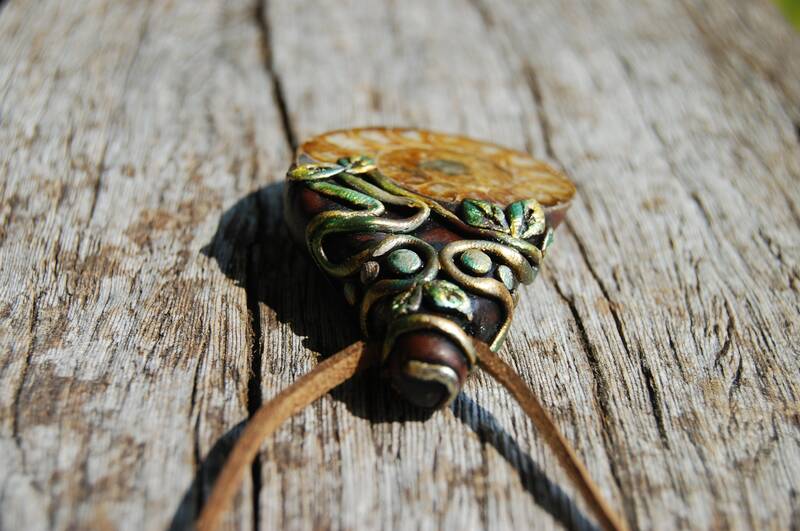 It represents the evolutionary process of learning and growing. It seems that life doesn't proceed in a straight line. The path of life more closely resembles a Spiral. We seem to pass the same point over and over again but from a different perspective each time. To walk and then stand in the center of a Spiral or Labyrinth is a psycho-spiritual exercise for centering the consciousness. 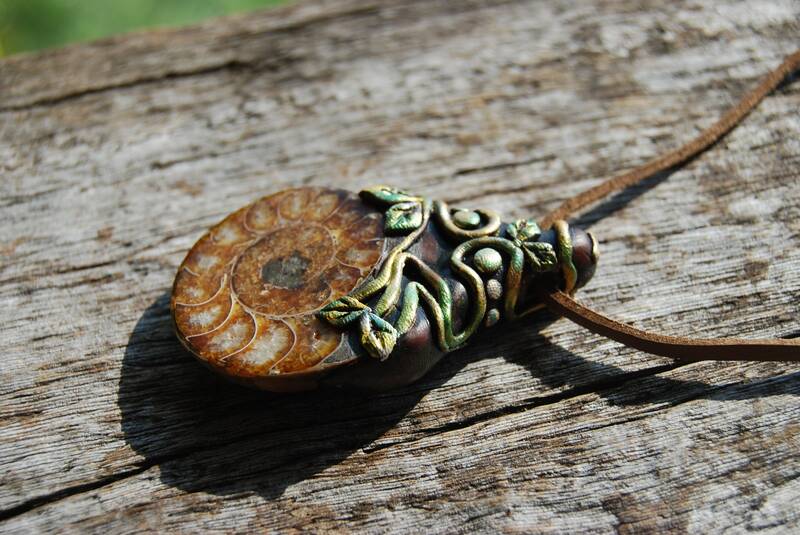 Made with quality clay so it's durable.However, it is better to take it off while showering or swimming to extend the lifetime of the pendant. Size approx. 6 cm / 2,36 inches from top to bottom.